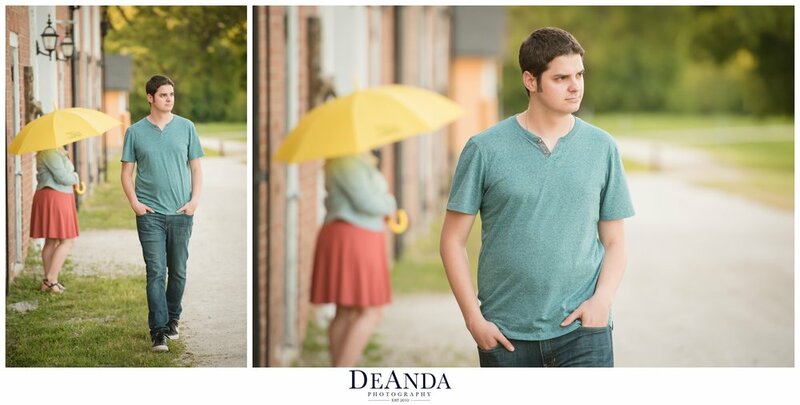 If you want to add some sentimental value to your session, tell me about how you first met. If it was at a local place, we can stop by during your session and recreate the scene. Did you meet in Chicago? I love being able to incorporate the Chicago Skyline and other iconic Chicago landmarks in your session. What kinds of activities do you enjoy doing together? This will help us to create memorable photos for you. Do you love riding your bikes together or racing model airplanes? Do you go to the park and push each other on the swings or playing laser tag together? What about riding around Chicago on your Vespa together. What are your hobbies and we will try to incorporate them. By informing us of your interests, we can add a more personal touch to your photos. Are you both fans of the same sports team? Are you really into comic books or video games? Do you work in the same profession? This couple below had bonded over one of my favorite shows "How I Met You Mother" at St.James Farm in Warrenville. If so, they make a perfect addition to your session. I welcome your pets in your e-session. We will just need to plan for someone to come along to help wrangle them, such as a friend or family member. Here we had went to one of my favorite spots, South Pond which is in Lincoln Park in Chicago. You know that place where you always wind up going on date night? Where was your first kiss? What is your favorite hang out spot? Tell me your favorite go-to locations and we can check them out to see if they would be good spots for a photo shoot. The image below we had went to Downtown Oak Park which is just 15 minutes outside of Chicago since that is where they both had lived and under that is one of the most beautiful suburban locations Fabyan Forest Preserve in Geneva. There are just endless engagement session ideas that we could incorporate when we work together. Please contact me for booking and chatting about your engagement or couples session. We can talk about tons of different Chicagoland location and the Chicago suburbs alike!